Over the past couple of weeks, I’ve been showing you my stamping area and how I store stamps and various related supplies. If you’ve been reading the Comments for these posts, you’ve seen several from Jan Castle whose stamping area is located in her laundry room. 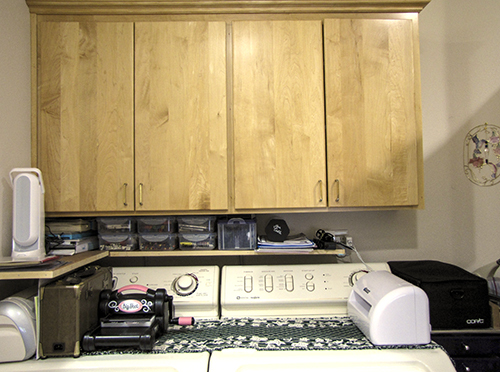 Now, I have to admit that my own laundry area is in a dimly lit basement with cinder block walls and a cement floor and so I subconsciously had that picture in my mind when Jan described where she stamps, but that is completely wrong. 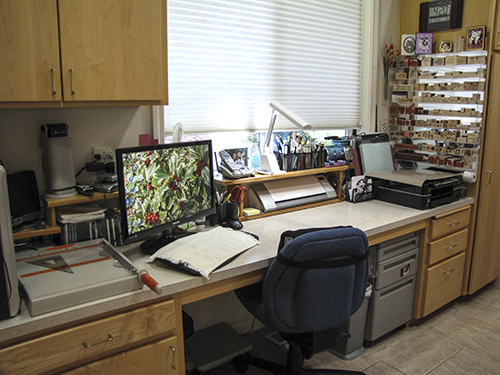 Jan emailed me some pictures of her stamping space today and it is actually bright and welcoming and I think would be a very inviting place to stamp. Jan very kindly gave me permission to share her pictures here with you. I think you will agree that with some thought and planning, you can be inventive and make a great creative space wherever you can carve out room. 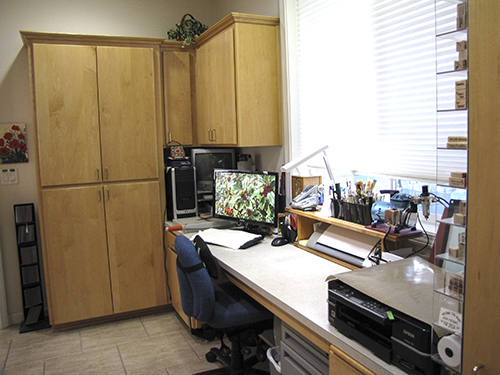 Jan adds, “The double cabinet at the end of my desk was originally a 12” deep pantry – now only the top shelf and part of the bottom shelf – the rest is my ‘stuff’! Isn’t this a great space? In a perfect world, we would all have a separate room just for stamping and crafts, with plenty of storage space, a sink and lots of work space. But here in the real world, we have to fit our creativity in where we can. But compact space can be great! Jan, you have a wonderful area! Thank you Nancie for showcasing it! It goes to show you that you can make a creative space just for you and since you are often doing laundry you will be reminded to create at the same time. 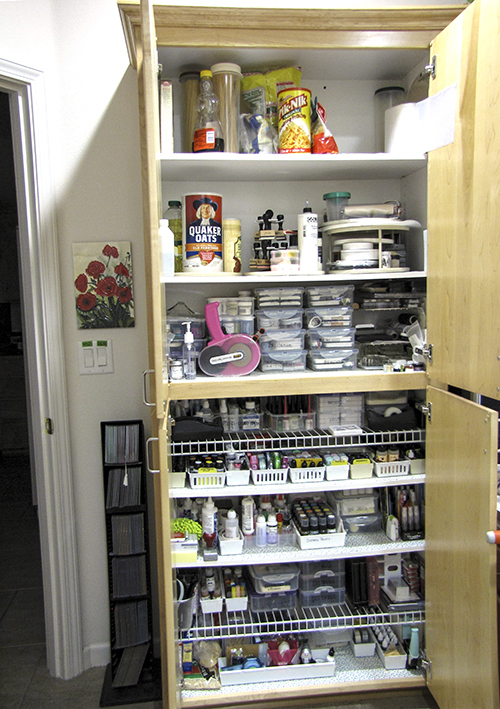 Well done both of you;) Keep up the storage/organizinf & craft space articles, I love them!